A couple weeks ago, my mom and I went through all her old jewelry and I helped her decide what to get rid of, and what I absolutely needed to add to my jewelry stash. I found an awesomely-80's necklace that my mom claimed to have worn all the time while she was pregnant with me and my sister from '86-'87. It's kind of big, but I'm pretty sure with the right white top or ensemble it could really make a statement. Growing up, us kids always had to wear ID bracelets in case we got lost. My mom had a whole pile of them! It was so cool to go back through them and see all our old addresses and how tiny our wrists used to be! I also found some awesome mink earrings that I opted not to take home. Those are just a little too "out there" for my tastes. It was so fun to sit down and listen to stories from all the fun times my mom used to have while wearing all that jewelry. I took home a pretty nice amount of jewelry, from costume accessories to some sweet sterling pieces. 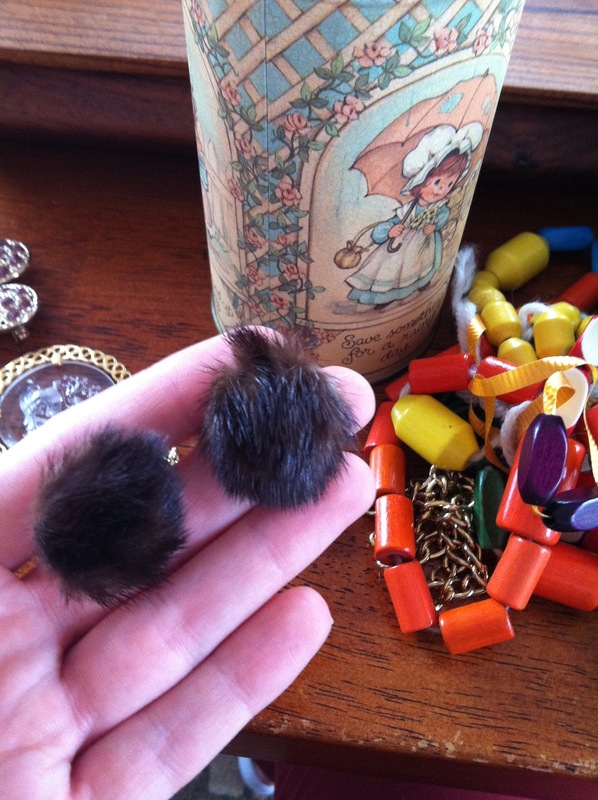 I can't wait to incorporate these vintage pieces into my daily mix! Awww, SO fun!! LOVE the "80's necklace" Pretty sure you could find something similar at any trendy store right about now! ;-) And the ID bracelets? So cute. That sounds like such a fun mom/daughter date! 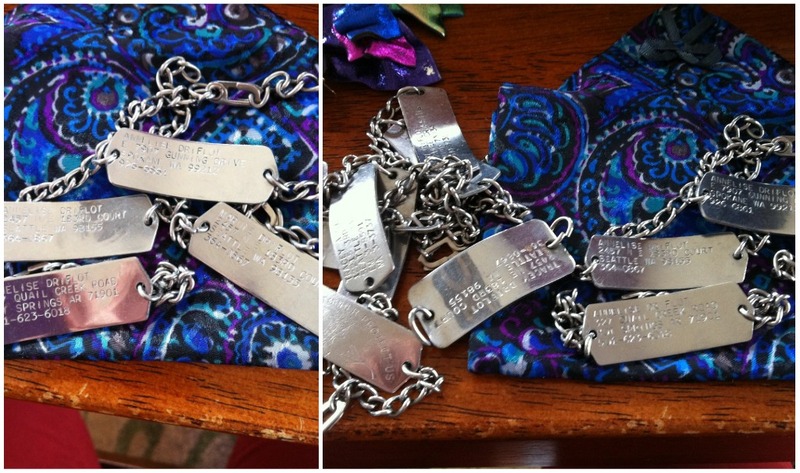 And those ID bracelets! I still have mine! And it still fits! It's tighter, but I can definitely still wear it. how fun!! I love those last earrings, but I don't think I could make myself pull them off either! You guys found some pretty awesome stuff! AUNIEEEE I still can't get pass how gorge your mom is! Gotta love truly vintage jewelry! :) so cute! 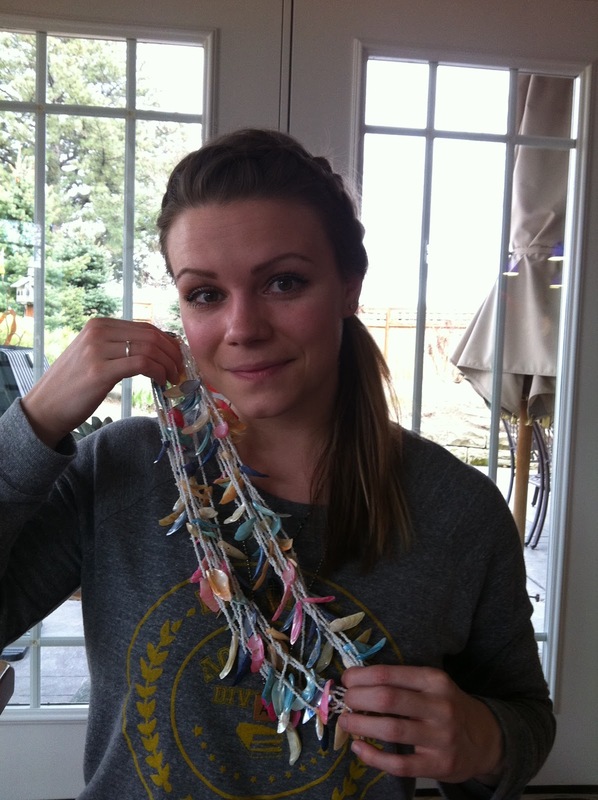 Annelise...I'm almost afraid to tell you this...but I had that same necklace...lol. What a fun adventure to do with your mom! I bet it was awesome! That necklace is amazing! Fun!! And we better see an outfit with that necklace!! It's funny bc my sister just found an old jewelry box and she found all of our 'troll' earrings haha! And I still can't get over your gorgeous mom! You're gonna look just like her! That is such a cool thing to do. Those mink earrings are amazing. But I know what would happen if I put them on, I'd look in the mirror and think 'awesome' but then I'd pull them off as I walked out the door cause they're tooooo cool.